The liquidity and operational risks, the ability to generate profits and the capital adequacy of FIB are discussed in the last part of the classified report of Bulgarian National Bank (central bank, BNB) on FIB from 2012. As for the other FIB indicators, the findings of BNB inspectors are again devastating. However, the previous BNB management deliberately has not undertaken any measures and has closed its eyes, as the new leadership of BNB and Governor Dimitar Radev are also currently doing. Bivol published the first part of the report before release of the results of the stress tests of Bulgarian banks (see here) and the second part after the release (see here). Meanwhile, BNB has acknowledged the existence of the report (see here), as well as of another one, drafted in 2015. The central bank refused to provide the contents of the two reports, despite overriding public interest, citing clauses of classified information and banking secrecy. The fact that the regulator concealed the existence of such important reports is a huge potential liability for the BNB leadership, which is fully aware of the real situation in FIB, but prefers not to take adequate measures to prevent a possible lethal banking crisis in the country. The authentic central bank document that Bivol revealed was quoted by very few Bulgarian media such as Capital and Mediapool. In contrast to this information blackout, we have observed keen interest from international financial and diplomatic circles and have prepared a full English translation of the entire report for them. The report shows that in the height of the liquidity crisis in the summer of 2014, when long lines formed in front of FIB branches and the bank was left without cash, the State has misled the European Commission about the real findings of BNB in order to secure permission for State aid. According to data, obtained by Bivol, then-Governor Ivan Iskrov has guaranteed to the EC that FIB was covering the State aid of 1.2 billion levs with gold and Bulgarian government securities. The report, however, shows that the liquidity reserves of FIB in gold at the end of 2011 were only 0.5%, while in Bulgarian government securities only 9%. The EC Directorate General Competitiveness, which allowed State aid in 2014 based on data provided by the Bulgarian side, declined to comment whether it was aware of the BNB report. Nevertheless, the reply still shows that the concentration of loans has been identified and recommendations were made. Ultimately, the Commission washes its hands by saying that it is not competent to reassess the situation of the Bank on a permanent basis, although it has been repeatedly approached with evidence of blatant violations. It transfers the responsibility of the conducted stress tests to BNB. Ultimately, one-legged data from the conducted stress tests showed that FIB needs to raise 200 million in capital. The report from 2012 is, however, definite that the capital shortfall is much larger and prospects to fill it are negative. The bad rating of FIB does not allow its financing on the interbank market, stress inspectors of BNB. These are, of course, the huge loans granted to Bulgarian oligarchs such as Hristo Kovachki, Vasil “The Skull” Bozhkov, Grisha Ganchev and the very FIB owners and majority shareholders Tseko Minev and Ivaylo Mutafchiev. The money has been distributed to the quoted in the report companies and offshores associated with the owners of the Bank, with the closed steel mill “Kremikovtzi”, the lead and zinc factory in the city of Kardzhali, the unprofitable businesses of Kovachki, The Skull and Ganchev. These loans were identified in a major investigation of Bivol in 2014, based on registered pledges entered in the Trade Register. The central bank has found that these exposures of FIB have been incorrectly reported by it as regular instead of “non-performing” or even “loss.” One of the “tricks” involves restructuring by the Bank of bad and overdue loans. Then new loans are granted, which are used to refinance outstanding exposures and those new loans are classified as “regular”. Even as early as four years ago, BNB has established that FIB applies various unfair practices. The majority of these techniques are associated with multiple changes in credit conditions, which delays in time the manifestation of the real existing credit risk. The other trick is assigning non-performing exposures to legal persons who purchase these exposures …… with credit again granted by the bank. In other words, the bomb will inevitably explode, but so far the efforts are only aimed at artificially improving the tragic indicators to deceive regulators and postpone the explosion in time. The report quite categorically mentions that: “The Bank finances its operations mainly with attracted funds from individuals and households.” The conclusions are crystal clear. In following this destructive practice, FIB has handed to oligarchic structures and connected companies and individuals billions in non-performing loans, and the money for this financial scam comes mainly from citizens and other ordinary depositors. According to the findings of BNB, the equity exposures to loans that can be directly classified as “loss” and “non-performing” is over 682 million levs or more than half of the reviewed loans. The Inspection has reviewed a sample of 140 loans to 49 corporate borrowers with a gross value of 1,355,822 thousand levs, representing 38.86% of all corporate loans and 32% of all gross loans. Please, note that this huge amount of 682 million is based on a sample of just over one-third of all corporate loans. Therefore, using pure mathematics, we can calculate that the hole in FIB as early as 2011 was over 1.8 billion levs, when the equity of the Bank is about 700 million levs! “Concentrations of exposures to several large groups of corporate clients with various indications of connectivity have increased pressure on its capital position… Much of the credit portfolio is formed by loans granted to companies with offshore and foreign registration or local companies with owners of such registration, which hampers greatly the establishment of connectivity, respectively the occurrence of concentrations and exposes the Bank to a great risk,” these are only part of identified by the auditors reasons that have led to capital inadequacy. The specific findings are crushing and firmly put FIB on the list of highly-troubled banks. The Bank cannot cover its exposures with its own capital, according to BNB. The size of the capital base that has been established is far less than the one provided by the Bank itself. In one word, FIB pretends to be a “good apple” by deceive even the regulator. In addition to trying to deceive the central bank, the Bank has formed a large part of its capital base with funds of offshore companies as Cyprus’ Legnano Enterprise. Readers can learn more about this here. The above company is managed by the now-notorious biggest credit investor in Bulgaria – Georgios Georgiou. The latter proved to be a destitute resident of Nicosia, but at the same time, he is a reliable borrower of FIB with credits of over a billion. Of course, the credits of said “super-businessman” are uncollectable. Subsequently, Tzeko and Ivaylo have directly transferred to themselves the shares of the two offshore companies. 27% of the equity capital is shares belonging to Legnano Enterprise Limited, Cyprus and Domenico Ventures Limited, British Virgin Islands. The deal has been approved by the Financial Supervision Commission (FSC) in 2014, along with a “landmark” finding of perfect standing, which has nothing to do with the conclusions of BNB. “Traditionally the bank is pursuing an aggressive policy of attracting resources, mainly from individuals and households by offering attractive interest rates, which adversely affects profitability,” BNB inspectors stress. In plain language, this means that the Bank is not a bank, but a pyramid, similar to all that collapsed in the last 20 years and dispossessed their depositors. In this case, the yield is low for the Bank as an institution, but not for its owners and crony oligarchs who are siphoning the resource of the deposits by lending to connected parties. Again, in simple language, this means you pay – they spend! And this will go on until the ultimate end. Deposits of individuals and companies are exposed to significant operational risk, the report says. The reasons are many – the large number of branches and employees, the complex organizational structure and weak control procedures for electronic banking. Specifically mentioned in the footnote is the case with the theft of 1 million levs from the accounts of “Culinar” (Master Chef) Ltd, described by Bivol years ago. The lack of technical capacity of the main software application to work with the database of the Cyprus branch in real time is also referred to as something increasing operational risk. This pertains to the so-called bank in the bank in Cyprus which is used to finance people connected with the Bank owners, organized crime groups and theft of EU funds, as proven in earlier investigations of Bivol. FIB should increase its capital by 200 million levs, according to the results of the stress tests, recently published by BNB. For this purpose, the Bank has to invest its profits, though is not certain that they exists. It is important to note that impairment cost of FIB published in the stress test is zero, which means either that the Bank has lied to the auditors of Mazars, or the auditors have lied. And once again, the issue ends up being those risk exposures – the huge loans granted to oligarchs with which the owners/majority shareholders have de facto liquidated the Bank and it is kept on life support with State aid and by the naivety of people depositing their money in a pyramid structure. The Bank is brazenly lying, BNB is closing its eyes, and eventually taxpayers are the ones who pay the bill. And, we find here some very important information. Levels of interest rates from 13 to 14% are indicated in the footnote. For some of these companies Bivol has firmly established that are controlled directly or indirectly by Tseko Minev and Ivaylo Mutafchiev through several Cypriot unemployed “dummies”. In other words, on one hand, the majority owners of the Bank are draining it by the interest on capital provided by their offshore companies, an one the other – by granting credits to themselves though other offshore companies that are not repaid. Regarding the latter, the inspectors have established economic connectivity, but there is not a single word about it in the stress tests presented by BNB as guarantee for the stability of the Bulgarian banking system. The BNB Inspection also bluntly states that “the Inspection believes that a significantly higher capital under the Tier II capital is necessary”. The last item particularly incriminates BNB in criminal inaction against deposits of citizens. The central bank has known that FIB is a pyramid, but left it grow and drag in more funds from gullible investors, lured by high interest rates. Criminal conspiracy or criminal inaction by the institutions? These devastating findings about the real state of FIB trigger the question whether and what institutions such as BNB, FSC and the Ministry of Finance, which form the Advisory Council for Financial Stability, have undertaken. This Council also includes the Minister of Finance, the Chair of FSC and the BNB Governor. Its function is defined in Art. 31 of the FSC Act and includes analysis of systemic risks for the Bulgarian financial system, discussing measures and coordinated actions, according to the powers of the three institutions, when there is imminent threat or crisis for the financial system and financial markets. In 2014, FSC Chair, Stoyan Mavdoriev, convened the Advisory Council over the case of the collapsed Corporate Commercial Bank (CCB) despite the existence of a by far more favorable report of BNB (see here a comparative analysis with the report on FIB). But then the political directive was to bankrupt the former benefactor after CCB stopped distributing unaccountable money, a directive serving only the interest of the group and a total damage for the budget and society. Before Bivol Djankov admitted that he never knew anything about the existence of such a report by BNB. Apparently FIB and institutions, such as FSC and the Prosecution, act like a State within the State and are guided not by the laws of the Republic, but by their own corruption rules in the interest of oligarchs and politics. 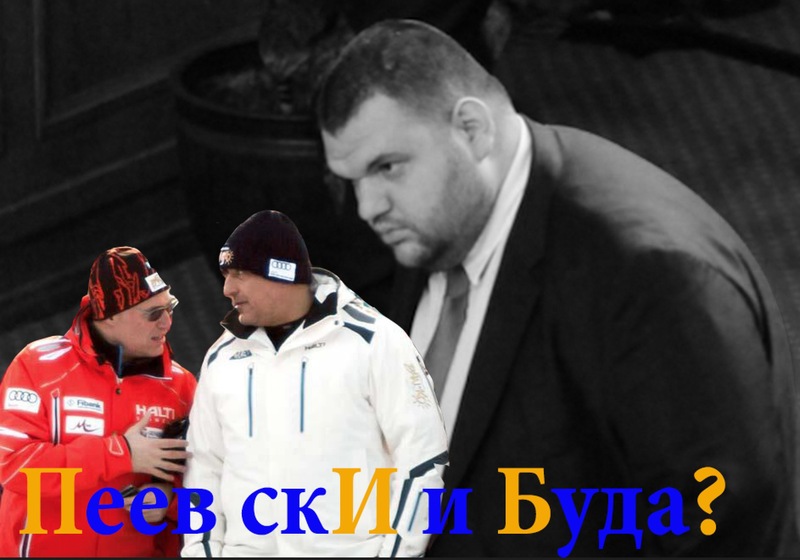 According to Bivol insider sources, the identified in 2012 capital hole of more than 1.8 billion levs has grown in 2014 to over 3 billion levs, including fully impaired loans, together with those controversial lawmaker and media mogul Delyan Peevski transferred from CCB to FIB. As all institutions remain silent and will continue to remain silent about the above evidence, we are left with nothing, but wish patience and strength to the legitimate investors and account holders in FIB as the same scenario that has bankrupted other Bulgarian banks, with the same predetermined outcome, is being currently played.